Is your garden the best in Laurencekirk? As part of Laurencekirk Gala Week, local residents are being invited to enter the Beautiful Garden Competition, sponsored by Beechwood Services. 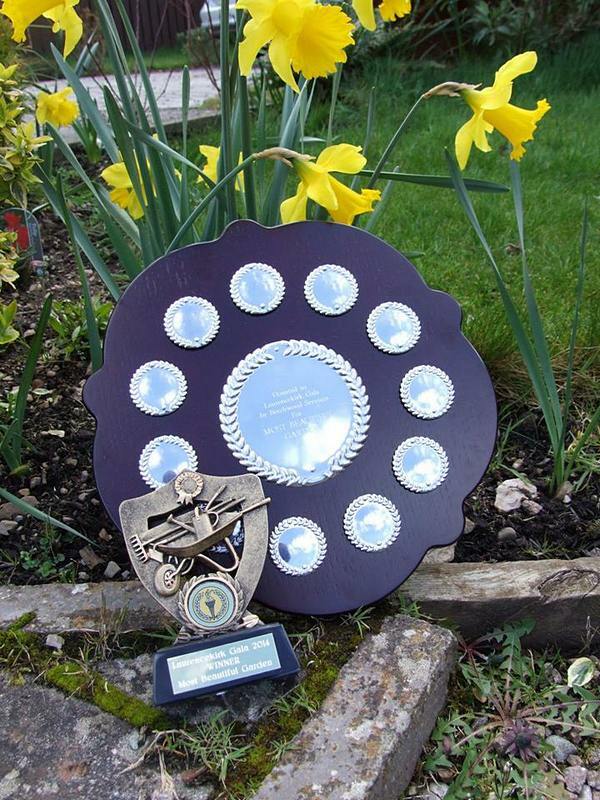 The winner will get a handsome trophy adorned with a wheelbarrow and gardening tools, plus their name on a shield. If you think you can do a better job at keeping down the weeds than in the photo of the prizes below, then why not enter the competition? Entry forms will be available from the Gala committee secretary, email themoarfamily@yahoo.com, or by picking up at Laurencekirk Post Office, from the week starting 14th April. Gala Week runs from 13th – 19th July.